At PEARL PLUMBING AND SEWER, started with the philosophy �Work Hard, Be Honest and Stand Behind Your Work�. These basic principles have allowed us to grow into a very well respected plumbing company. We employ qualified plumbers with a minimum of 4 years experience and they are all fully trained to the latest requirements and regulations and also comply with the health and safety standards. 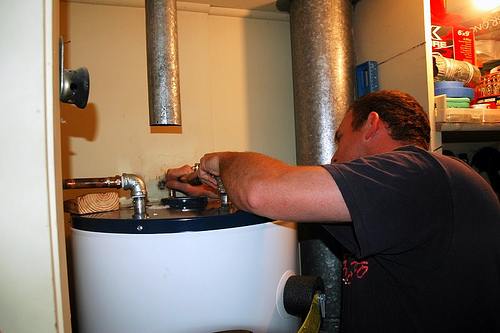 Our plumbers carry out plumbing, heating drainage, electrical and air conditioning work. The quality and service that we provide does not mean higher charges. In a recent survey the company's transparent pricing structure was very much �middle of the road', and when combined with our comprehensive back up service and guarantee, our charges are very competitive and value for money. Our work is carried out on an hourly rate, or a fixed price can be given for larger jobs. Our rates are completely transparent, and all invoices show a full breakdown on how your job has been priced. Whenever you call us our 24hr manned call center, our helpful staff will be able to deal with your enquiry quickly and efficiently. An plumber can usually be with you within the hour if required alternatively a booking will be made to suit the customers' time schedule.